Our geiger counters are precisely calibrated for measuring Beta, Gamma and X-ray radiation on industrial level for professional and personal use. 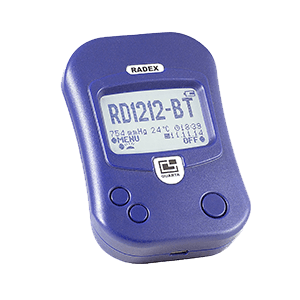 Measure, plot and share with others the data collected with RD1212/ RD1212-BT and Radex ONE using Quarta-Rad's intuitive and easy to use software. Buy our products with confidence. All products are backed by 30 day money back guarantee. 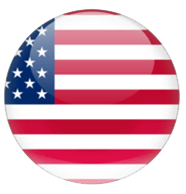 Our stock is located in the US , Canada, Europe and Japan. This enables for lightning fast delivery to our customers. For a scientist in you. Precision, Range and Affordable. RADEX RD1706 had been developed on the base of RD1503 model, but it is more precise due to use of TWO Geiger-Muller tubes and can be used by professionals and non-professionals for quick and reliable measurement of radiation background in environment, soil and non-consumable products. • Extra fast measurement cycle: from 1 to 26sec. Geiger counter for everyone: Simple, Reliable and Affordable. This model is the next version of RADEX 1503 model upgraded in 2018. RADEX RD1503+ can be used by non-professionals for quick and reliable measurement of radiation background in environment, soil and non-consumable products. 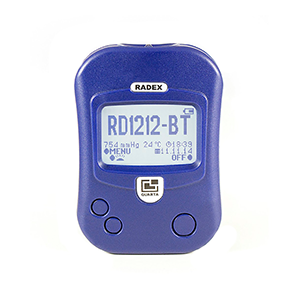 RADEX RD1212-BT geiger counter / radiation detector can be used by professionals and non-professionals for quick and reliable measurement of radiation background in environment, soil and products. 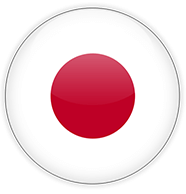 Features capability to track radiation “live”, store it or share online. 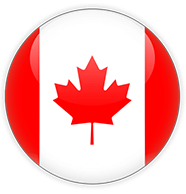 Compatible with Android phones, iPhones or tablets. QUARTA-RAD company history begins in the 1990. The first step was a small enterprise called “Quarta” started by several people from the staff of the prestigious Engineering Physics Institute, aka National Research Nuclear University (MEPhI). Patent trademarks “Quarta” and “RADEX” followed. Our company’s success story is no secret and is based on fundamental principles: despite volatile nature of the market or the rapid company expansion – the quality of our devices stays at the highest level of accuracy and dependability! 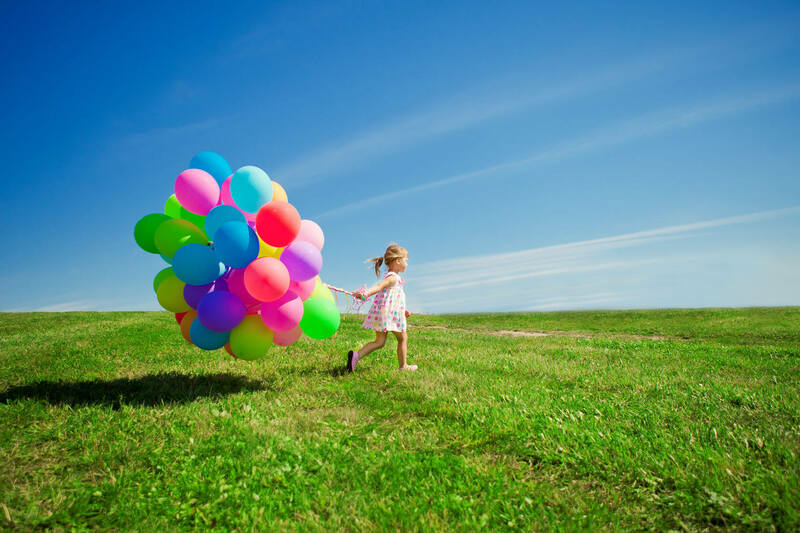 The principal goal is safety: we make sensitive, easy to use radiation monitoring devices, that are rugged and practical, as to help protect families like yours from the dealy, invisible enemy that you can’t touch or feel unit it may be too late. Based on our scientific expertise and production capabilities, we currently feature several types of handy, protective equipment, e.g. 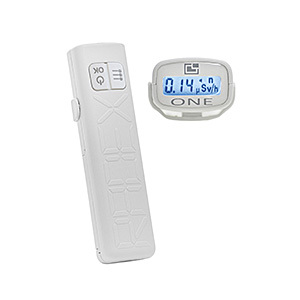 personal radiation monitors, radon gas indicators, luxmeters. Convenience and the easy of use are very important in our designs. 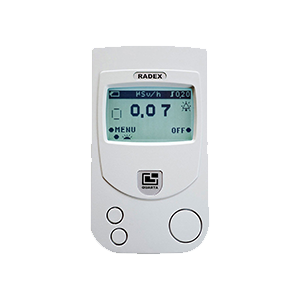 That’s why we offer you the smartphone geiger counter Radex RD 1212-BT which links the portable radiation detector / geiger counter via Bluetooth straight to your smartphone or tablet. The best geiger counter you can buy! 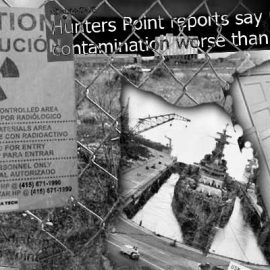 Our geiger counters have a long service life. The quality control of production and the final product is vigorously maintained and constantly improved over the years with close attention paid to customer feedback and suggestions regarding the overall unit design, its features and how easy it is to use right out of the box. We listen and take action, which is the driving force behind constant innovation. 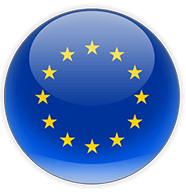 As a result, we have received outstanding reviews and support from our customers, meanwhile the company continues to expand with great prospects, all the while in the face of considerable competition. 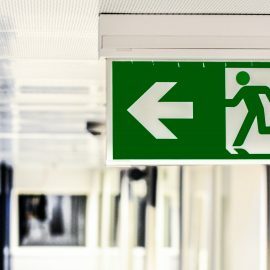 One of the most frequently asked questions we hear is: “How do I know what to do with a geiger counter”? Peace of cake! 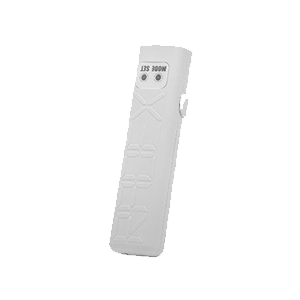 The design is intuitive, making our dosimeters easy to use even by people who have never held such device before. Turn it on and see it work! Give it a try and you won’t be disappointed! How does a geiger counter works? Portable geiger counters are used as detectors of dangerous radiation. Radiation meters detect ionized radiation such as beta, gamma or x-rays. Personal dosimeters can be brought anywhere: in your travels, to check the basement or even a local market. There are basically five general types of radiation detectors. They are categorized based on sensors: gas filled detectors, radiographic film, optically stimulated luminescent detectors, thermioluminescent detectors, and scintillation detectors. 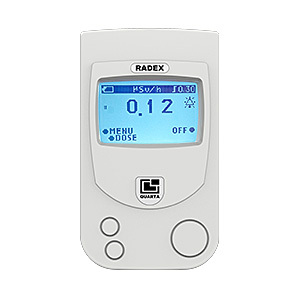 The most convenient are the gas filled detectors, such the RADEX brand radiation detectors. 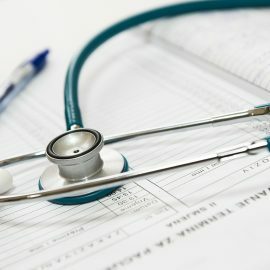 Each model of radiation monitor performs basic detection functions, they differ in speed and whether they transfer data. 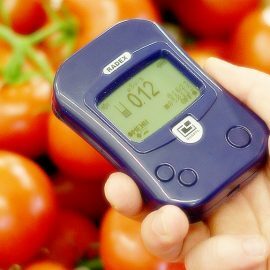 When choosing to buy geiger counter, the highest-rated is the RD 1503+ with its large screen. QUARTA-RAD is on the frontline of combating yet another deadly health hazard – the Radon gas. None of geiger counters can detect radon gas properly, simply because radon emits alpha particles and “alphas” are too “large” to pass through a sheet of paper or a layer of skin, let alone plastic casing of a dosimeter. How can I measure radon gas in my home? A specialized radon gas detector is needed. For accurate readings leave it in a basement overnight. 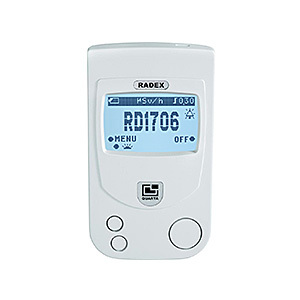 MR107 radon gas detector measures volumetric activity of radon and its “daughter” products in the air. It is designed to efficiently address this concern. Often the radiation sensor price is too high. We have a geiger counter for sale. You can get a cheap geiger counter to protect yourself from harmful radiation! Even our least expensive units have alarms that alert you in case dangerous level of radiation is detected.